Bathrooms, move aside — 2019 is the year of the kitchen. HomeAdvisor’s Smart Home Strategist and Home Expert Dan DiClerico said homeowners (especially first-timers) in 2018 focused their renovation efforts on bathrooms to accommodate the needs of a growing family. 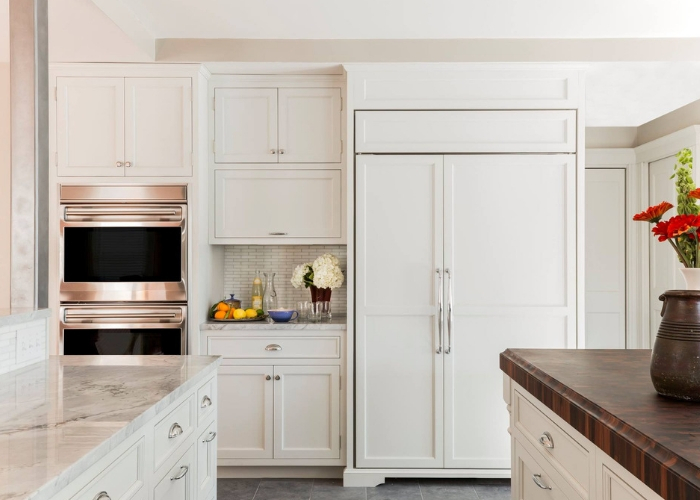 But homeowners are now moving their attention to the kitchen, where they’re aiming to create an in-home oasis that reduces stress and boosts wellness. DiClerico and National Kitchen and Bath Association Industry Relations Manager Elle H-Millard say homeowners are creating their wellness retreats by purchasing appliances such as blenders and steam cookers, connecting indoor and outdoor spaces with sliding glass walls and playing with earthy tones such as blue and green to create an overall sense of calm. “When we have times where we’re uncertain with political things or whatever may be happening, we have the opportunity to then change [those feelings] up with design,” she added. A seller doesn’t have to do a full renovation, but statistics show that small upgrades in areas such as the kitchen or bathroom can help a home sell faster, and blue rooms (including kitchens) can boost a buyer’s bid by as much as $5,000. Steam cookers, professional-grade blenders, multi-cookers and drawers with built-in vacuum sealers will be all the rage in 2019, DiClerico said. People are using steam cookers as a way to avoid using additional oils and butter, blenders for making smoothies and soups, and multi-cookers for whipping up batches of oatmeal, quinoa and other meal prep favorites. “Manufacturers are really picking up on the wellness trend and trying to give consumers as many options as possible for cooking healthy meals at home in the kitchen,” he said. Homeowners can create a blended space by installing a sliding glass wall that connects the kitchen to an outdoor entertainment area, which increases the livable space and is sure to impress guests. Beyond the “wow” factor, DiClerico says the natural light can help regulate sleep cycles and improve moods. Column refrigerators, which allow you to pair any size refrigerator column with any size freezer column, have been popular at the luxury end of the market, and they are finally gaining market-wide popularity. DiClerico says these refrigerators allow homeowners to maximize food storage based on their needs. Want to focus on eating more fresh foods? Choose a larger refrigerator column that can accommodate large quantities of fruits and veggies. Do you rely more on frozen options? Then, up the column size of your freezer. Easy peasy. DiClerico and H-Millard say the all-white kitchen isn’t gone, but blues and greens are gradually taking over. 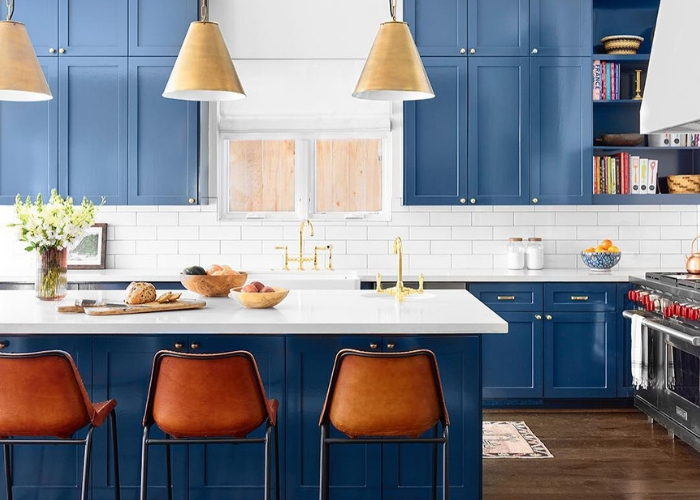 H-Millard says homeowners are slathering their cabinets with denim, navy and washed-out blue hues and accenting them with ombre metal finishes, such as a gradient from brass to stainless, create a stunning visual. If you need an extra bit of color, both experts say manufacturers are producing plenty of bold-colored stoves, fridges and accessories to punch up the space. Furthermore, she says baby boomers, in particular, can use voice-activated lighting to help change the temperature of kitchen lights to help reduce glare and even boost their appetite. Marble, granite and stainless steel are losing their popularity, but they’re not gone just yet. Instead, homeowners are using quartz and black stainless steel, which are easier to maintain and keep clean. “There’s always going to be a market for them,” DiClerico said. 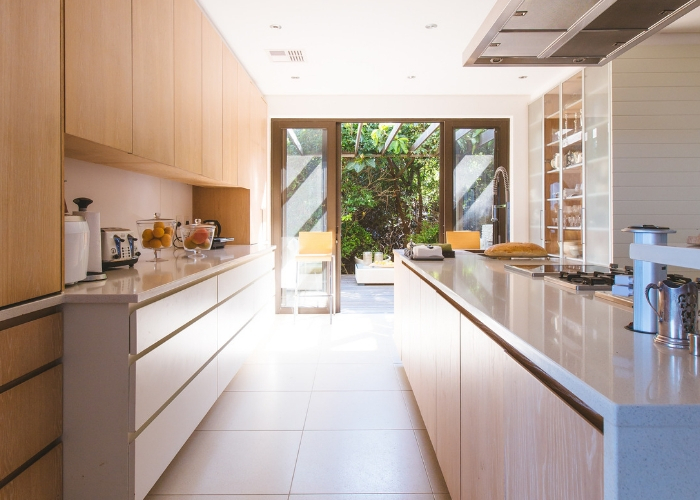 Could kitchens be extinct by 2030?